New York Times Magazine sent six second-grade students to dinner at Daniel, one of New York’s finest and fanciest French restaurants, for a seven-course tasting menu that carries a price tag of $220 per person. And even though I’m insanely jealous these children got to eat a meal I will likely never experience, it’s hard not to love their unfiltered commentary. Almost as soon as they’re seated, conversation ensues. One kid wonders if something is Jell-O, which probably caused chef Daniel Boulud to have heart palpitations. More comments: “Why do I have two knives?” “Oooh… this is strange. And delicious.” “This looks like a little forest.” “This is dry.” “This tastes like soap.” “I didn’t like any of that stuff… I just didn’t like it.” Brutal honesty seems to be the theme at this dinner table. But let’s talk about Rohan. This is a kid after my heart and — I’m just going to say it — the star of this video. Just look at that natty vest and hat. He’s delighted as he sips water from a much-too-big-for-him wineglass. He looks slightly annoyed when the girls sing loudly, as if he’s thinking, “Am I the only second-grader that knows how to behave here? We’re at Daniel, people! Daniel!” He likes the fish scales on the snapper (who is this kid?). He proclaims the steak to be cooked perfectly and nabs a piece from his neighbor’s plate, who is clearly not as impressed with this rib eye that likely costs a whole lot more than is in his piggy bank. When another kid tries the caviar and starts carrying on, Rohan looks at her quizzically, pops some more into his mouth and states, “It’s so good.” Classic Rohan. Unsurprisingly the beef course is clearly the winner of the savory plates, but I’ve got to hand it to these kids for trying foods that are well outside of their comfort zone. At that age, I probably would have taken one look and booked it out the door to the closest McDonald’s. 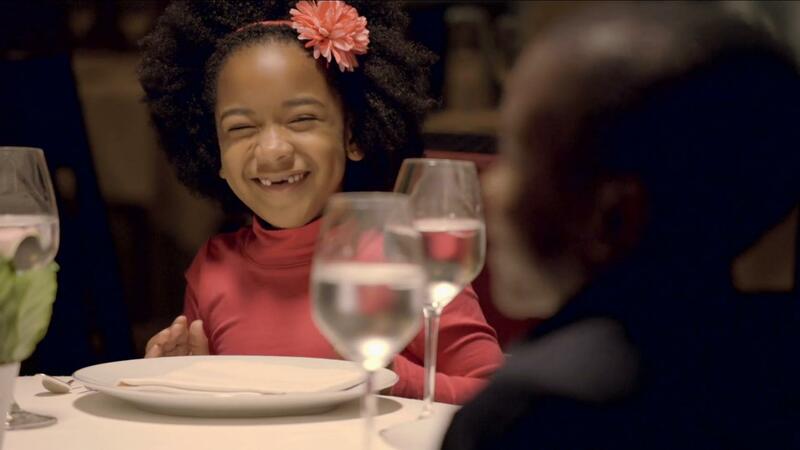 And like any good group of second-graders, they ended their $220 meal with a toast to vampires. Doesn’t everyone?